Hey everyone, so I am finally Back to USA and I have so many exciting news to share with you all. We got to know the gender of our baby so, I will post it pretty soon on my blog and its was a complete surprise for us. But first I am way too excited to unbox my FabFitFun Fall 2018 box. I was excited to receive this box the next day I arrived to our place. So, basically FabFitFun is a seasonal subscription box with products more than $200+. The best part is that it has all full size products and it's just $49.99, but if you use my coupon code link to signup and it's your first time getting the box then it's just $39.99 . I am gonna jump right in and show you what all I got in my winter 2017 box. It has a mini magazine inside once you open. That has all the details of the items included and also provides background on some of the featured makers and designers. It's retail value is $128. All the FabFitFun subscribers will be able to pick this bag in two colors or you can opt for a different item that is a Crown Brush Set. As of publication, if you subscribe now, you will have an hour after signing up to make your decisions. This tote is made of Pebbled Vegan Leather. I just feel it is an excellent Faux Leather. This is an open slim tote with one inner pocket. The tote measures 17.5 x12 inches. And if you are wondering if it can fit a laptop - the answer is a yes! I can totally fit my MacBook Pro and I always attend events with my laptop, so I am totally excited to have this classy option. This tote is not stiff, so you can definitely fit in some larger items in it if you prefer to. It's retail value is $24.99. The one side is the metallic liquid lipstick and the other side is the shimmery lip topper. The liquid lipstick really stays put and is impressive for a formula with a metallic finish! It's retail value is $22. All the FabFitFun subscribers will receive this item in their box. This shower get is just perfect as you cab also double it as a bubble bath! The soothing scent is a Herbal and Pine Blend. I just love it and I can also share it with my hubby. It's retail value is $20. All the FabFitFun subscribers get this item in their box. I always pay a full price for this item so, I was way too excited to get this in my box! If you have not used this product before then I must say, it works amazing for applying your foundation with a straw-free finish. Wet the beauty blender and squeeze out any excess water from it. I have been using a beauty blender for years to apply my liquid foundation, but I recently discovered that I can also use it for my setting powder too. It's retail value is $67. If you are a Annual FabFitFun member then you will be able to pick this facial exfoliant or Grown Alchemist Day Cream or Grown Alchemist Cream Cleanser. This beauty brand is a high-quality, pricey and is ingredient conscious . I was way too thrilled to see this item in my box. !This facial exfoliant has a natural grapefruit scent. It's formula is creamy with fine exfoliator particles. This product is gentle enough to use everyday as routine. My skin feels soft and smooth without ant irritation. It's retail value is $18. All the FabFitFun subscribers will receive this item. A glam glow sheet mask is always a Yes, please! This was super fun to use, but it does get pretty foamy or bubbly, so I totally recommend using it before your shower, so that you can easily rinse it off without getting messy around. You just have to leave the mask onto your face for about 3 minutes, then use the remaining bubbles to cleanse your face. It does really create a rich foam lather. My skin was super clean after using it and was perfect for my oily skin as it dries out your skin. So, just a heads up that you will likely have to follow up with your favorite face oil or moisturizer if you have a dry skin. It's retail value is $39.99. All the FabFitFun subscribers will be able to pick this umbrella in one of the 2 prints or you can choose a Bluetooth Headphone Set. I am someone who always ends up loosing my umbrellas most of the time. So, this item was a win win for me in the box. I hope and wish that I don't lose this one. It's a quality umbrella and it has a good weight to it. You can open it one handed pushing the button on the handle. It's retail value is $14.99. All the FabFitFun subscribers receive this item in their box. These tea towels are 80% Cotton and 20% Polyester. This simple gray and white design would go with most of the house decor and they also have a hanging loop to it. It's not an exciting item that I was looking for in the box, but it definitely matches my kitchen counter top. It's retail value is $22. If you are a Fabfitfun subscriber then you get to choose from a Fresh press coffee maker or a Tea pot. This coffee press has glass vessel that is completely removable from the metal base or handle. It's capacity is 20 oz and is made of Borosilicate glass. This is a bonus sponsored item which all the FbFitFun subscribers would receive in their box. This Luna bar is organic and is also gluten-free. The texture is a bit different when compared to your typical nutrition bars. This bar is 170 calories, with 16 grams of sugar in it. This box has a retail value of $375.93! I am pretty impressed with how many items FabFitFun delivers for just $49.99. I have no idea how they do it, but I love how much customization they are now offering to the subscribers. The best part is I love all the beauty options that annual members get to pick from! You can still get this box if you sign up today, as of 9/21. So, what do you think about the FabFitFun Winter 2017 Box? And if you are already subscribed then what are the options you chose? *DISCLAIMER* : The opinions expressed are true and my own. Thank You for supporting what I do!! This is definitely a very good value for money box! I like that the products inside are so diverse, like the French press. I'd like to try that shower gel, it sounds really nice. 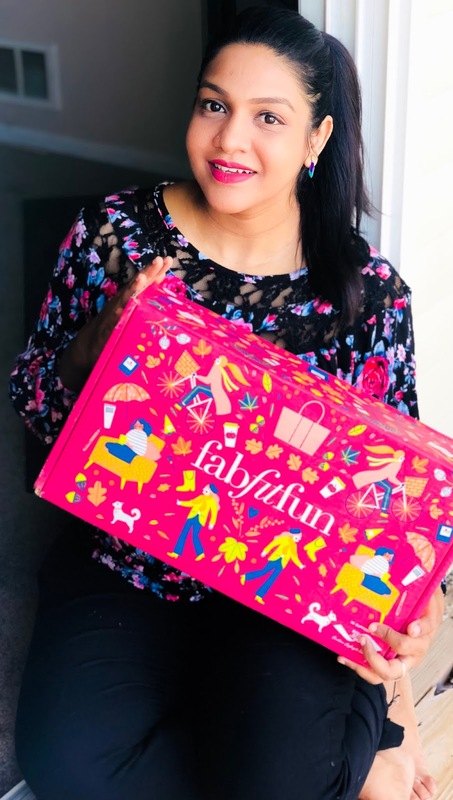 FabFitFun always seem to offer such great boxes and have amazing value for money! I love seeing what comes in them each time they come out - it's always such a surprise. What a fabulous box! I might have to get this one. It looks like it's full of things I'd actually use. I absolutely love Fab Fit Fun, they always have some really awesome products in them! I think it is great that this one has a beauty blender! I loved this amazing box. It looks like full of things I can use, would think about giving it a try. Good box for a hygienic daily do's. Awesome box full of goodies! I always get excited unboxing subscription boxes coz it comes with a surprise. Also, I’m totally inlove with that Glamglow! First I love how cute the boxing is, colorful and fun print. Pretty amazing that it is cost less than $40.00. Great bargain. They always have the cutest stuff! I love Vince Camuto! Never bought a subscription box before but this one looks amazing! 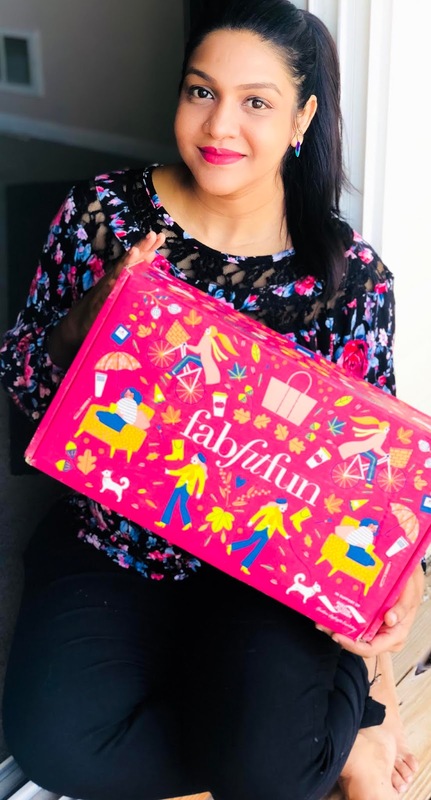 I wanted to try fabfitfun before but they were sold out - I'll have to try to get this one! The summer box they had last year was AWESOME!!! Wow! It looks like you got some incredible stuff in your box. Which item was your favourite? This box looks like it is so very fun and full of great products. I really want to give that beauty blender a try. This looks like a great box but you had me at Vince Camuto! I love his products so I know that anything included would also be high quality. What a great box! I can't believe the amount of items that are packed inside! This is so much fun, it must feel like christmas has arrived when you get it form your post man! That is great box, I like most of items packed there. It looks like Christmas arrived in September. I seem to have heard of this subscription box before. I'm far too picky to have a product subscription where I'm not sure what I'm receiving. I absolutely adore Fab Fit Fun. I stopped getting the boxes for a bit but starting up again for sure. There is always such good items and they are always well worth the cost of the box and then some! I've been hearing good feedback about the this. Love all the cool products included in the box! I have wanted to do this box for a while! This is so great! I am looking for some gift ideas. And guess what I found your blog Lucky I'm. This subscription box looking quiet good. And I saved your coupon code too. I am going to order this box by next weekend. THanks! What an amazing box. I love the bag. I can definitely see myself wearing that bag. I am hoping to get a subscription to Fab Fit Fun. I have seen many of these boxes and the items look amazing. I like the purse and umbrella. Paired together it would look cute for fall. I love coffee and have been wanting a French press coffee maker. I will have to look I to getting this one. Until recently I never knew these types of prgram even existed. $200 worth of products for 40 or even 50 without the discount is pretty amazing. I have not tried any of these items, but they all sound amazing! I am loving that tote bag!! You received an excellent Fab Fit Fun box. Most boxes do not include tote bags, so Fab Fit Fun really out did themselves! This box is also affordable especially when you look how much you recieve in one box. Everything in the box looks great! I love glamglow. I need to try this subscription. This box looks like it is so very fun and full of great products. I love FitFabFun. They always have great stuff to try in their boxes.